Does this ring a bell with anyone? Some of the grocery stores that have been in this area in the past are A&P, National, Jewel, Dominicks, Guido’s, Butera, Eagle, Cub Foods and Kohls. If you can provide an answer, I’d sure appreciate it if you’d leave a comment below. Here’s hoping the collective memory can come up with it! Our guest contributor this week is Pat Barch, the Hoffman Estates Historian. 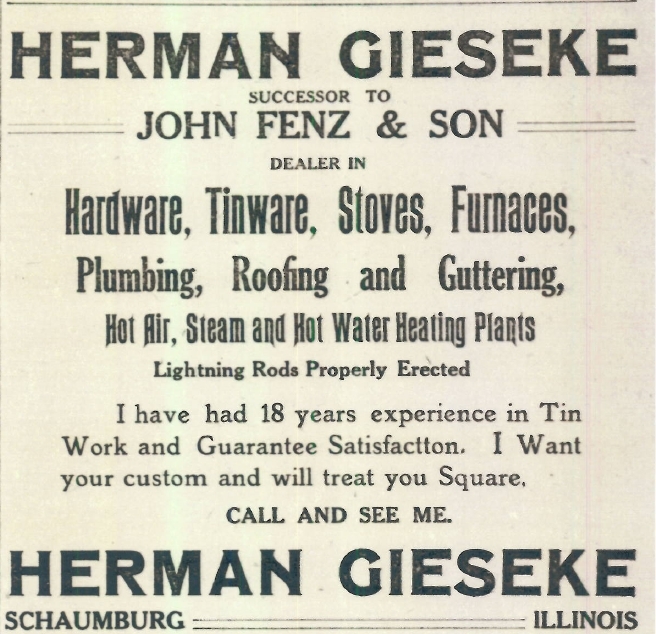 This column originally appeared in the February 2014 issue of the Hoffman Estates Citizen, the village’s newsletter. The column appears here, courtesy of the Village of Hoffman Estates. The closing of the area’s Dominick’s grocery stores brought back memories of our history with large grocery chains. A grocery store was vital to a new community. When our homes sprang up from the corn fields in 1955 the early residents had to travel to nearby towns like Roselle or Palatine to buy groceries. It wasn’t the most convenient way to shop but nothing else was available. When the Hoffman Plaza shopping center opened in the summer of 1959, it had many of the stores that were needed by our pioneer families. Jewel Tea grocery store was more welcome that any of the other stores except perhaps for the Snyder Drug store. There was much joy in Hoffman Estates when the residents could shop close to home in their own town. Jewel has been in business for 115 years and our Jewel, although it’s changed locations within the Hoffman Plaza, has offered us wonderful shopping for the past 54 years. 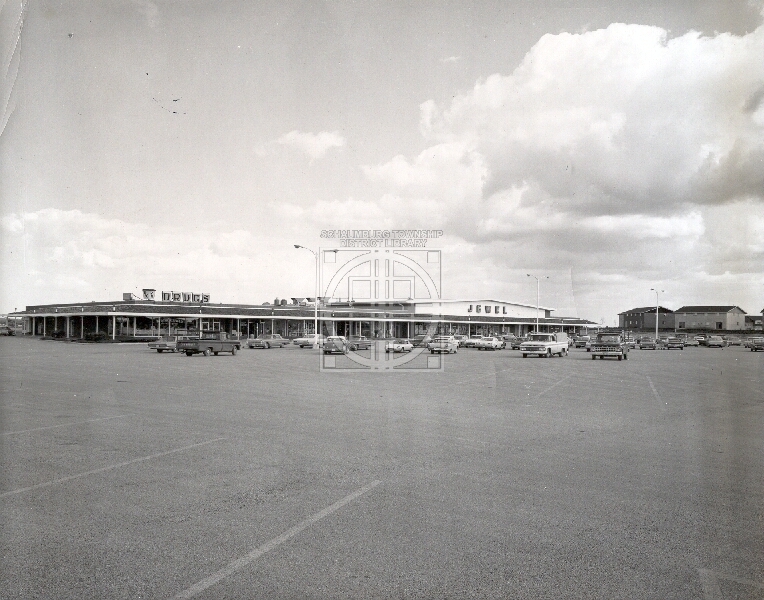 In 1963 the Golf Rose Shopping Center was being built. The addition of other stores and shops gave our residents more reason to shop in their own town. What they really loved was the addition of a National Tea grocery store on the north end of the shopping center. At the south end was a W. T. Grant’s department store. In between was a bakery, Golf Paint & Glass, Hoffman Estates Liquors and Balas Carpeting & Furniture. The National had been in the Chicago area since 1899 and was well known to those who moved out from Chicago to buy their first home. But the store didn’t remain for long. By the mid 1970’s, very much like Dominick’s, the grocery chain abandoned the area leaving close to 9,000 workers without jobs. Another memory of mine is the A & P. It wasn’t in Hoffman Estates but in Schaumburg. Although I live in Hoffman Estates, this A & P was located on Higgins Rd. just 2 blocks from my home in the Highlands. It faced Higgins with the back of the store facing Golf Rd. It was there in 1965 when we moved in but I can’t recall when it left that location. In the snowstorm of Jan. 1967, it remained open only because the clerks couldn’t make it home and slept in the store which was wonderful for those of use able to walk there to buy milk and bread. This location now has the St. Alexius Medical Center, Binny’s and the New China Buffet. With all the competition from these stores over the years, our Jewel continues on as the first and one of the favorite grocery stores in town. In doing research for the Kohl’s Food Store in Schaumburg, I discovered there was actually another store in the chain that was at 7500 Barrington Road in Hanover Park. Thinking it was in the Tradewinds Shopping Center, I looked further and found that it was actually on the west side of Barrington Road in the appropriately-named Westview Shopping Center. And, thanks to a number of commenters on this blog, I know it didn’t face Barrington Road the way the businesses today do. Rather, it faced Irving Park Road. It opened in August 1977 as the anchor store of the small strip mall. They had their work cut out for them because an Eagle and a Dominicks were also operating in the Irving Park/Barrington Road area. Needless to say, competition was fierce. With no repairs forthcoming, the grocery store’s headquarters filed a lawsuit in November 1980, three years after the store opened, against the land trust that owned the shopping center. The problems continued to mount with insufficient repairs being done. Finally, the situation became so bad that refrigeration problems forced the store to close on November 28, 1981. By April of 1982, the chain decided not to reopen the store. After closing not only the Schaumburg store the month before but seven others as well in the Chicago area, it must have been obvious that the Hanover Park store and all of its problems were not worth the effort. The store has since been torn down and the Westview Shopping Center has been rebuilt. Maybe you can answer a question though. Did the Hanover Park Kohl’s Food have the distinctively arched roof and entrance that the Schaumburg store did? If you by chance have a picture, I would appreciate the opportunity to scan it for our collection. Contact Jane Rozek at jrozek@stdl.org or 847-923-3331. Think of a big box grocery store and a square brick facade with equally square windows is immediately brought to mind. Enter a chain that appeared in the 1970s Chicagoland area that turned that design on its ear. With its gracefully arched roof that continued to the equally arched entrance of the store, the style was very distinctive for a grocery store. The name? Kohl’s Food Stores. 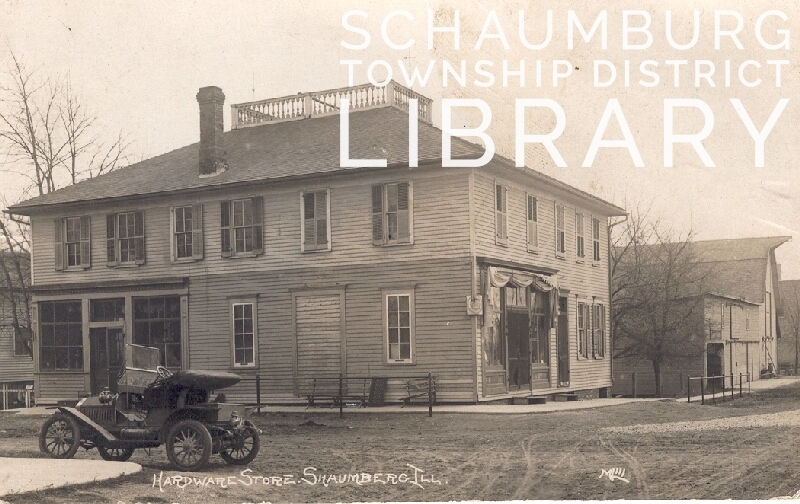 The Schaumburg Township location? 580 S. Roselle Road, the current location for the Walgreens at Schaumburg Road and Weathersfield Way. 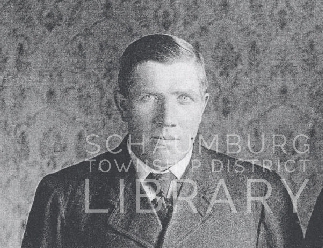 Kohl’s Food Stores were begun by Max Kohl in 1946. Even though the British-American Tobacco Company gained a controlling interest in Kohl’s Corporation in 1972, the Kohl family continued to run the company. After the family left in 1979, the Kohl’s Food Store chain opened more stores—adding the Schaumburg store that same year as part of the expansion. The Roselle Road store—in a shopping center known as Kohl’s Plaza–joined these other stores in the area: Chicago, Buffalo Grove, Morton Grove, Glen Ellyn, Mt. Prospect, Lincolnwood, Glenview, Elmhurst, Bloomingdale and Hanover Park. And, for a mere three years, the Kohl’s Food Store served Schaumburg Township well as an alternative to Jewel, Butera and Dominicks. 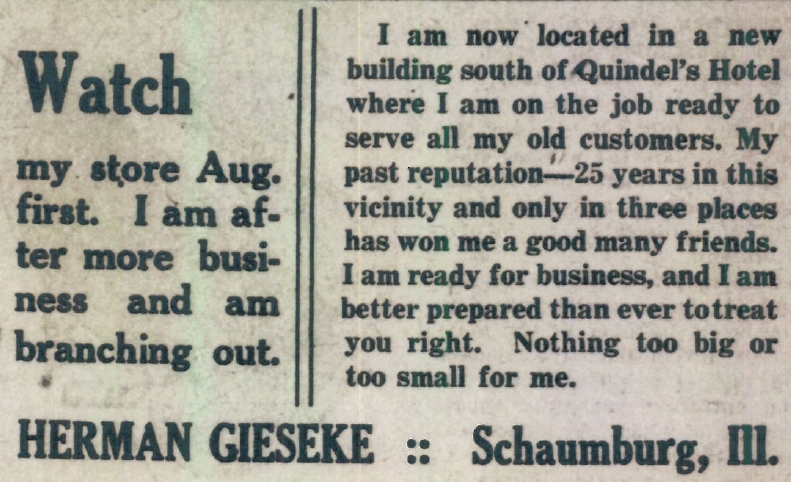 In the spring of 1982, however, it was announced that the Schaumburg store, along with seven of the other Chicago area stores, would be sold to Eagle. In a quick turnaround, Eagle opened their store in what is now the Farmgate Shopping Center. Although the merchandise changed, the arched facade of the store remained throughout the ownership of Eagle and, later, Dominicks. It was not until Walgreens took ownership of the store, that the façade changed. You can, however, still see an example of the typical Kohl’s façade at Rogan’s Shoe Store on Dundee Road in Buffalo Grove. 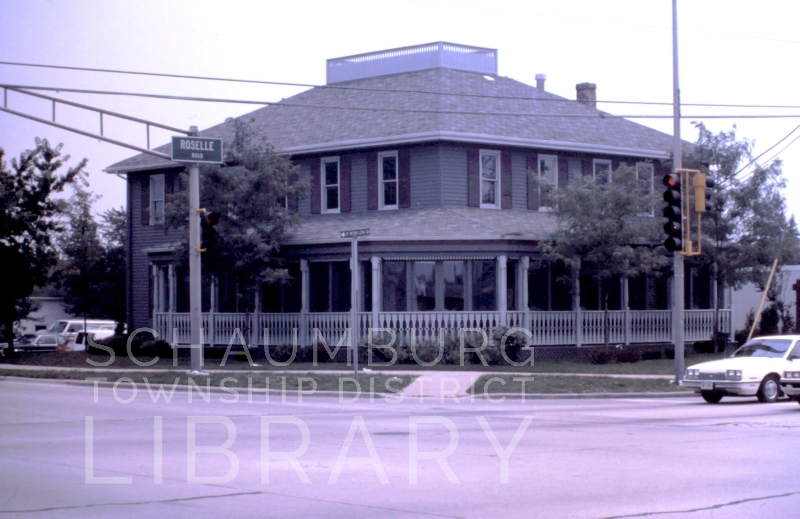 In 1963, the young village of Schaumburg welcomed the first grocery store–a Jewel–in the Weathersfield Commons Shopping Center at the corner of Schaumburg and Springinsguth Roads. It lasted in this location until January 1989 when they opened a newer store down the road in Scharrington Square. There have been many grocery stores in Schaumburg Township over the years–National and Byerly’s– to name a few. Which are your favorites? What stores are we missing? Tell us what is/was special about the store where you shopped.